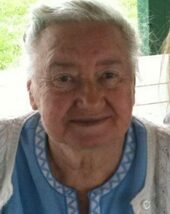 Ruby Fern Wimer Lipscomb, age 88, of Purgitsville, WV, passed away on Friday, October 26, 2018 at the Grant Rehabilitation & Care Center, Petersburg, WV. Born on December 10, 1929 in Dumpling Run, WV, she was the daughter of the late John Wimer and Lottie Cullers Wimer. In addition to her parents, she was preceded in death by her husband, Ralph Lipscomb; two daughters; and two sons. She is survived by three daughters, Naomi Andrade of Woodbridge, VA, Betty Whetzel of Petersburg, WV and Janice Boserman of Falling Waters, WV; four sons, Jerry Lipscomb of Fairview, PA, Roger Lipscomb of Old Fields, WV, Mark Lipscomb of Moorefield, WV and Carl Lipscomb of Purgitsville, WV; twenty grandchildren; twenty-nine great-grandchildren; and four great-great-grandchildren. Ruby was a loving wife, mother and grandmother. She was a member of the Walnut Grove Church of the Brethren, Moorefield, WV.The family will receive friends from 6:00 to 8:00 p.m., Sunday, October 28, 2018 at the Elmore Funeral Home, Moorefield, WV. 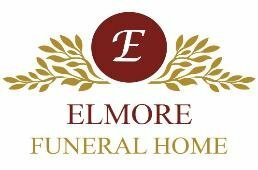 A funeral service will be conducted at the funeral home at 2:00 p.m., Monday, October 29, 2018 with Pastor Randy Ours officiating. Burial will follow at Olivet Cemetery, Moorefield, WV. Memorial Donations may be made to the Walnut Grove Church of the Brethren, P. O. Box 733, Moorefield, WV 26836.